Will IPOs continue to flourish in 2018? IPOs (Initial Public Offering) have become increasingly popular over the last few years, and the Indian IPO market seems to be picking on the global trend. IPOs helped companies raise close to Rs85,000cr in FY18 -- a massive 150%+ jump from the previous year’s figure of Rs29,104cr. Rahu and Ketu hit the Indian economy in the form of GST and demonetization; however, the IPO market in India flourished in FY18, showed no signs of slowing down, and continues to grow even in 2018. Will this be a lasting rally? IPOs (Initial Public Offering) have become increasingly popular over the last few years, and the Indian IPO market seems to be picking on the global trend. IPOs helped companies raise close to Rs85,000cr in FY18 -- a massive 150%+ jump from the previous year’s figure of Rs29,104cr. FY18 saw the IPO market being dominated by various sectors, the most dominant among which were insurance, banking, infrastructure, media, and tourism, etc. Economic reforms: In the past couple of years, the Government of India has issued several economic reforms. The most notable among these are the implementation of GST, Real Estate (Regulation and Development) Act (RERA), Insolvency and Bankruptcy Code (IBC), etc. These reforms strengthened investor confidence in India and is one of the reasons why IPOs flourished in FY18. This could very well become the reason for IPOs continuing the flourish in FY19. Capital demand: Companies open themselves up to the public and come out with an IPO to fulfil their need for capital. Therefore, a rising demand for capital is imperative for the IPO market to flourish. FY18 saw a record demand for capital by MSMEs. IPOs will continue to flourish if demand for capital keeps rising in FY19 as well. Performance of listed companies: A quick analysis of the performance of companies newly listed on the stock exchanges can paint a clear picture of the IPO market. Newly listed companies performing well on the stock exchanges give investors a confidence boost, thereby prompting them to invest in IPOs. Subscription and return rate: Investor behavior impacts IPOs in ways unimaginable. If the IPO is oversubscribed, it means that demand for the company’s shares is more than the supply. This boosts the share price and has a broad effect on a company’s IPO. Political factors: Political situations and events have a lasting impact on a country’s IPO market. India goes to the general elections in 2019 and a lot of companies have IPOs lined up before that. It is expected that most IPO transactions will take place in the third quarter of 2018-19. IPOs in 2018 are expected to be dominated by the above-mentioned sectors. While one might not notice a lot of difference between the number of IPOs in 2018 v/s 2017, the quantum of these IPOs and their volumes will be something to keep an eye out for. While a lot of big companies go for IPO in 2018, start-ups will also have a significant share. 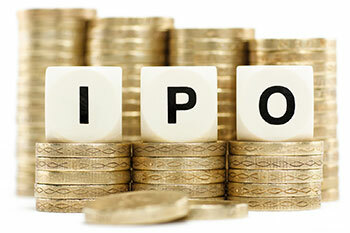 With Sebi easing up IPO norms for start-ups, a boom is expected in the start-up IPO market. Internet-based start-ups along with fintec start-ups will continue to thrive in terms of IPOs. Considering factors such as the general elections, among other things, IPOs will receive a big push in FY19.